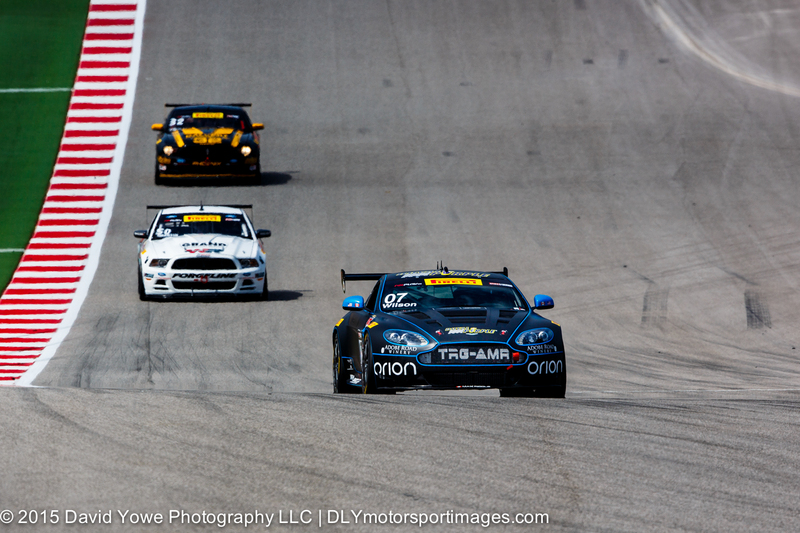 Round 1 of the GTS season started under sunny skies around mid-day on Saturday. 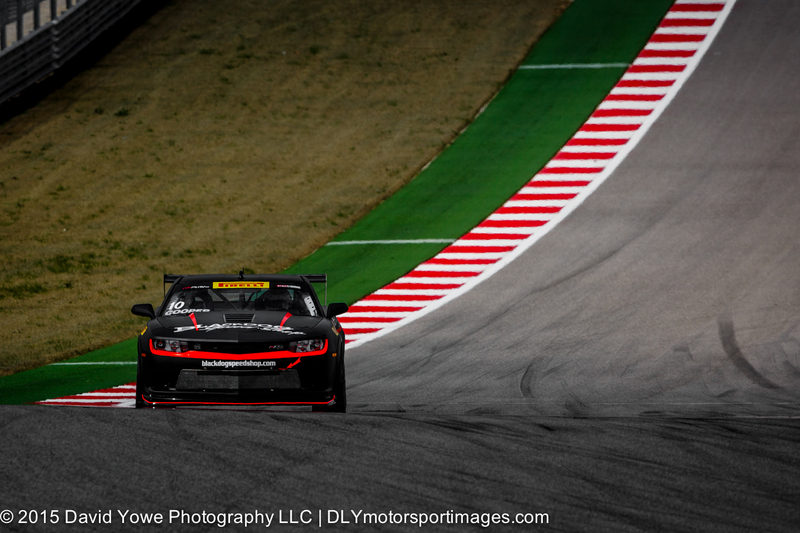 This year the GTS class will compete in their own race due to the rapid expansion of the Pirelli World Challenge (PWC). Hope you like the photos. Dean Martin in the #50 Rehagen Racing/Picture Cars East Ford Boss 302 leading the field of 20 cars into Turn 1 at the start of the race. 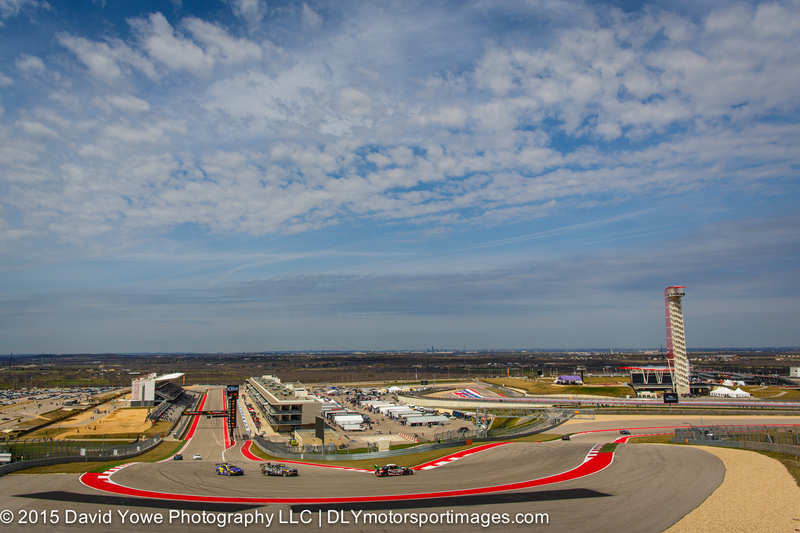 A wide shot of Turn 1, with the Austin skyline in the background. 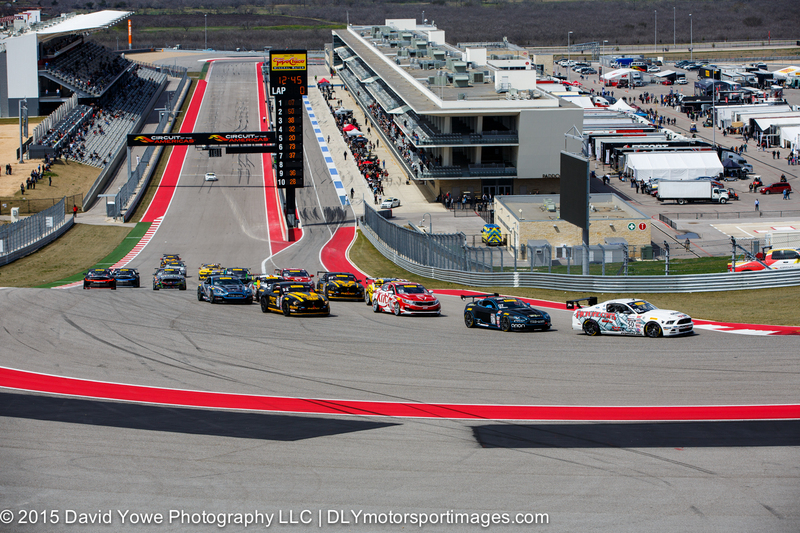 Jack Baldwin in the #73 GTSport Racing Porsche Cayman S leading a pack of cars around the left-hander. 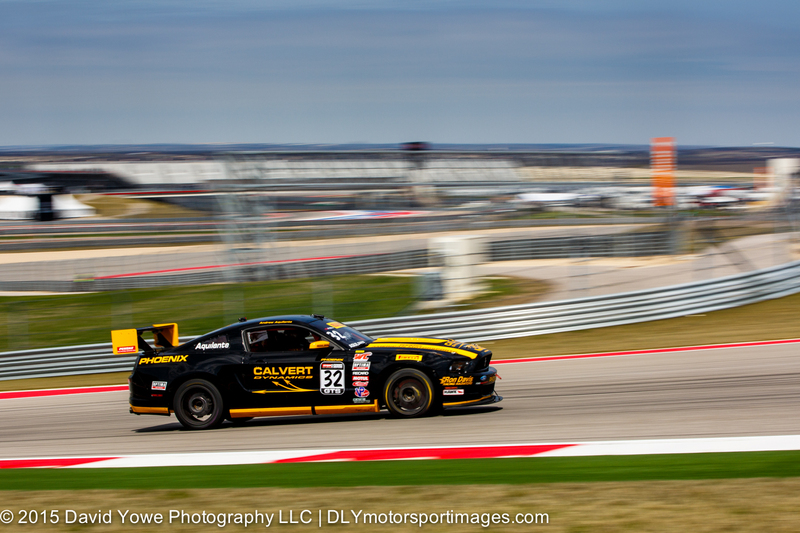 Race winner Kris Wilson in the #07 TRG-AMR Aston Martin Vantage GT4. 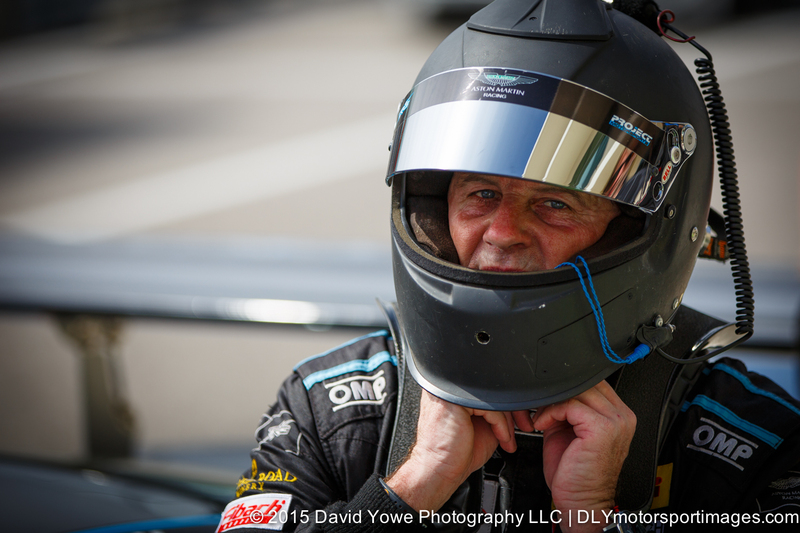 Third place went to Dean Martin in the #50 Rehagen Racing/Picture Cars East Ford Boss 302. 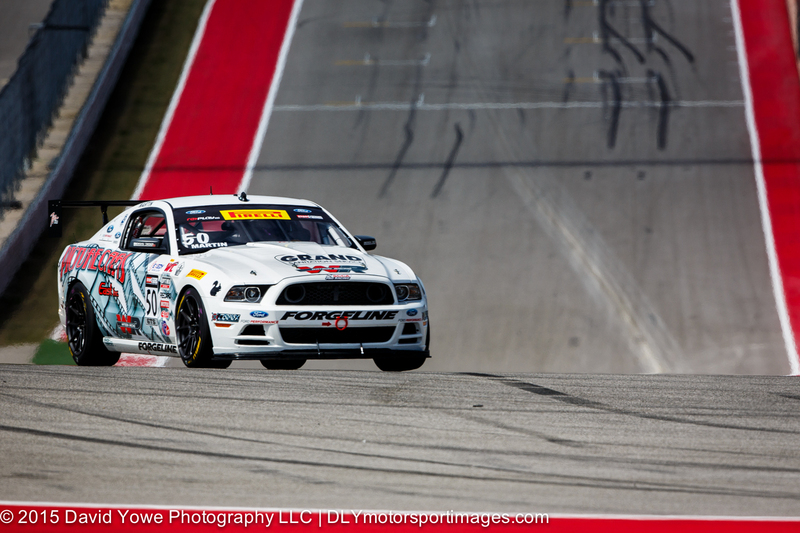 “Flying” up the hill into Turn 1 with second place winner Andrew Aquilante in the #32 Phoenix American Motorsports Ford Mustang Boss302. 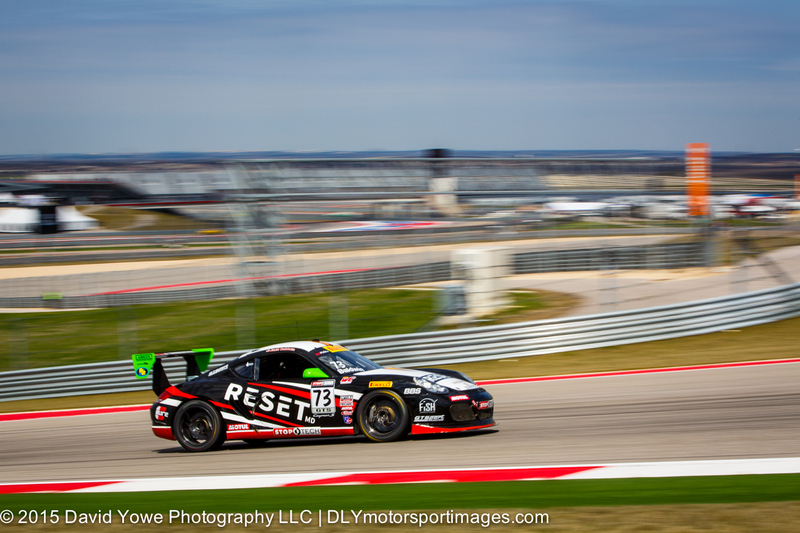 “Speeding up the hill” into Turn 1 with Jack Baldwin in the #73 GTSport Racing Porsche Cayman S.
Race winner Kris Wilson from the #07 TRG-AMR Aston Martin Vantage GT4. 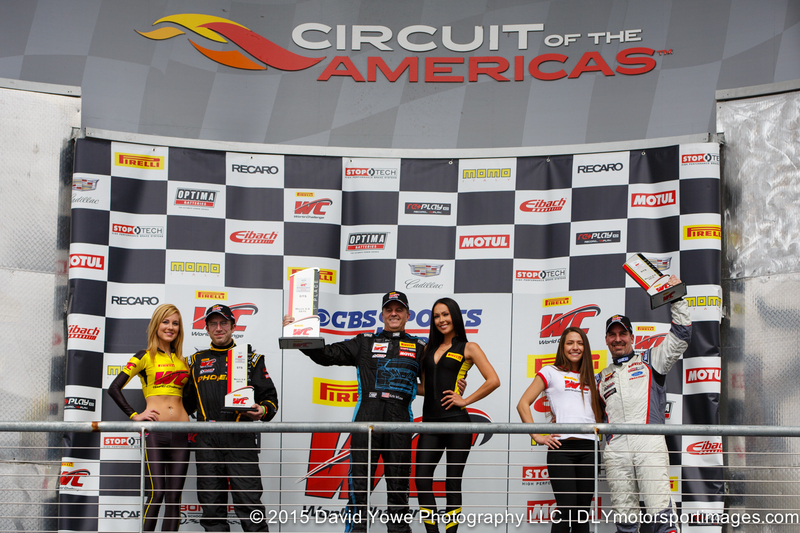 Winners podium with Kris Wilson (first, center), Andrew Aquilante (second, left), and Dean Martin (right). 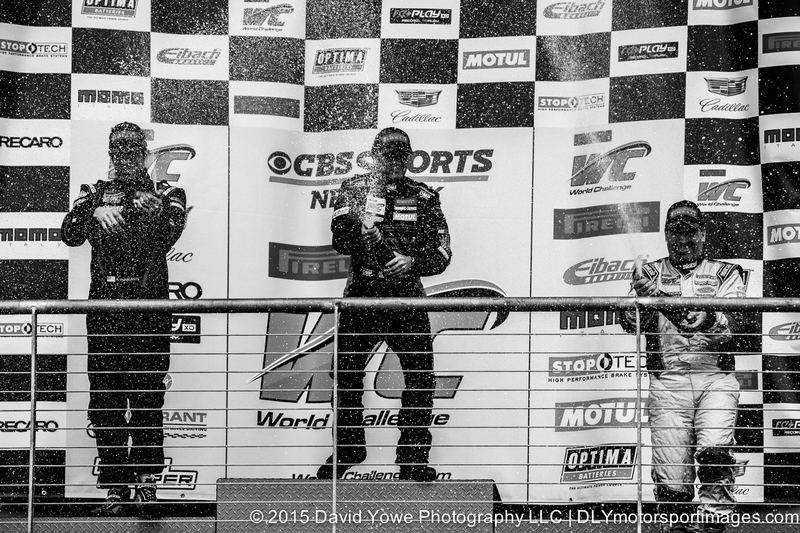 “Champagne celebration” with the winners podium.